Ritzi Lunge Bar is, with no doubt, one of Mallorca’s hot-spots. Its dream location, wide range of cocktails, champagnes or wines, excellent service, one-of-a-kind views and fun atmosphere have made Ritzi bar in of Mallorca’s referents for night life. Ritzi Lounge Bar occupies the first floor of locals 34-35 at the luxurious marina of Puerto Portals. Because of its location, Ritzi Lounge Bar offers spectacular views at the port, its yachts and the Mediterranean. The first thing you will see once you have come inside, is the large elliptical bar. 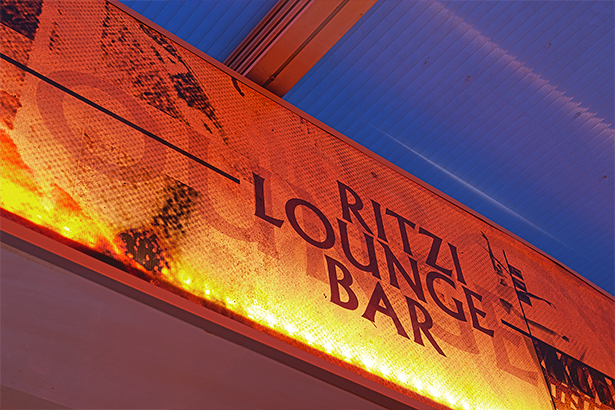 A comfortable, cozy interior and superb furniture and materials will make you feel at home while spending your night at Ritzi Bar. Because of the all-year-round opening hours, there is a glass roof that can be opened during summer for you to enjoy the delicious cocktails directly under the stars.